Terra Nova Books, 9781938288876, 120pp. It was just a short cross-country ski outing over the Christmas break for Mogi Franklin and his sister, Jennifer-until they find themselves suddenly caught in a vicious blizzard. 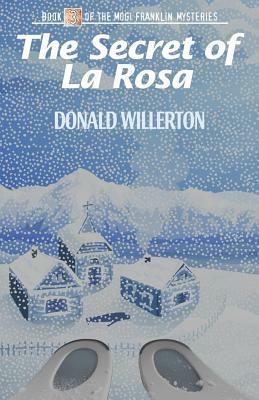 Near collapse, they ski into a mysterious valley with an ancient hacienda, a busy Spanish family, and a village with no electricity, no plumbing, no cars, no phones, and definitely no Walmart. A vacation that began a few days earlier helping his Granddad clean and decorate for a huge family celebration had now become a mind-boggling mystery. And young Mogi's anguish trying to come to terms with his grandmother's death from cancer the previous Christmas turns to fear and danger when he is accused of stealing a religious icon the town prizes above all others-and which holds the key to solving an ancient legend of missing Spanish gold. It's the latest book of the exciting Mogi Franklin Mysteries-shadowy figures, secret societies, a town like no other. Is this all reality or illusion? Mogi must find the answers, even as he struggles with the memory of his grandmother's death and the mysteries of faith it brought him which he now must answer as well.